messy side part + how I recover hair post workouts! One of the most common questions I get is related to how often I wash my hair, or what I do with my hair after I workout? I typically workout 5-6 days a week, and there’s no way in heck I could wash my hair that often haha. I probably wash my hair 3 days a week…and on the other days, I’ve come up with a technique that will make your hair look and feel as good as new after a workout! The technique is two-fold: secret #1 is it’s all about the messy, deep side part. 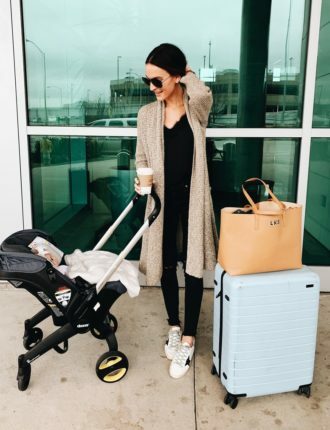 secret #2 is found in the miracle-working dry shampoo I’m sharing with y’all today! So after I’m done working out, I’m typically pretty sweaty. A lot of y’all have said “I could never get away with not washing my hair because I sweat so much!” Girlfriend, you are not alone haha. Believe me: it is possible! Here’s what I do after my workouts to recover my hair! First of all, take your hair out of a ponytail the second your done working out, and shake it out. Let the sweat air dry as much as you have time for. Then, once you get home (or in the locker room, either one)…blast your hair with cool air from the blow dryer. 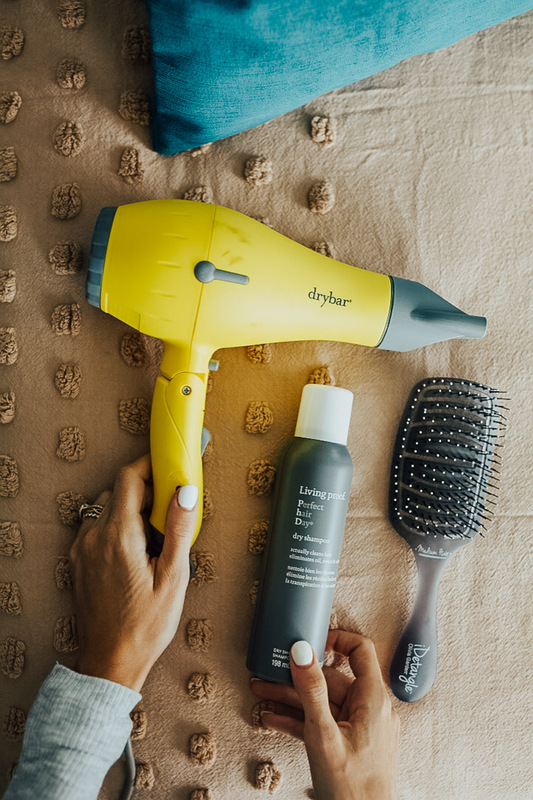 I personally love this drybar buttercup blow dryer because it’s super easy to take to the gym or travel with. ALSO this blow dryer has negative ions in that that naturally cleanse and freshen hair! 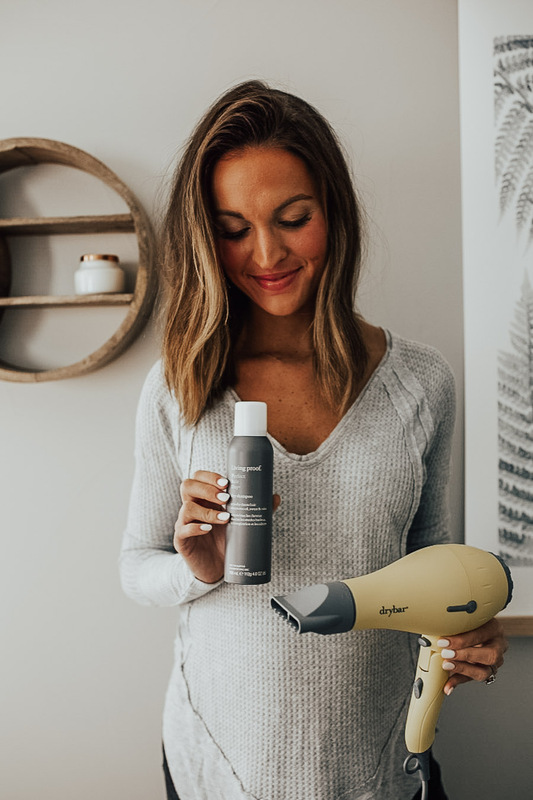 This blow dryer also makes it really easy to focus on small sections of your hair which is great for styling. 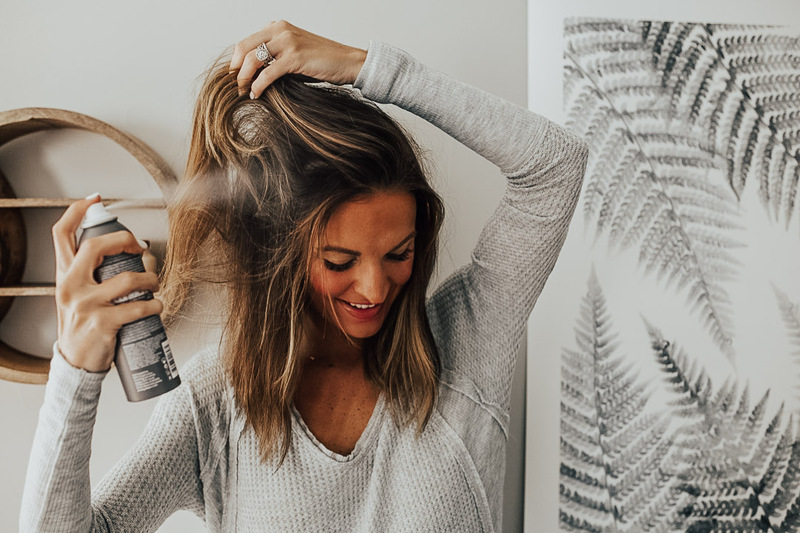 After the sweat has halfway to mostly dried…spray this life-changing dry shampoo on your roots, all around your head. This has been my ride or die dry shampoo for a LONG time now and I cannot recommend it enough. It actually cleans your hair because it removes oil, odor and sweat! It works on all hair colors because there’s basically no color to it, and leaves your hair feeling completely refreshed! It is THE BOMB. 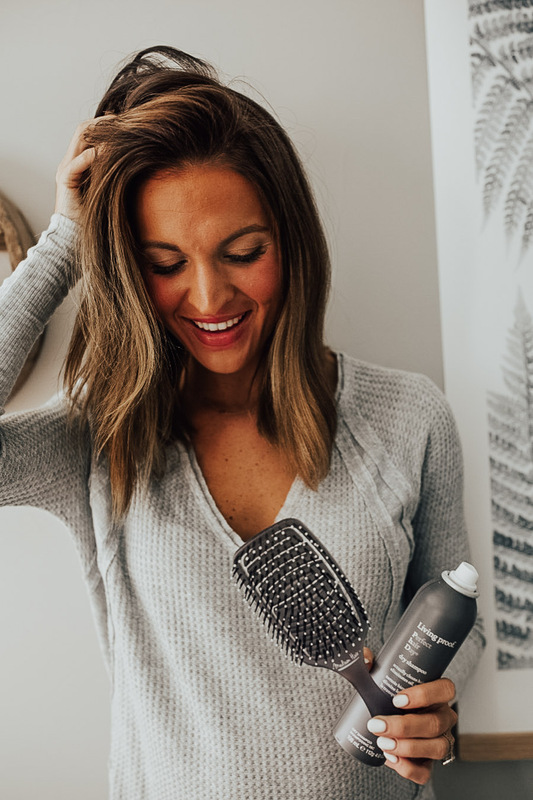 Give your hair a really good shake to make sure you get the dry shampoo everywhere, and then brush through. I recently discovered this detangle brush and am obsessed! I don’t even have really tangly hair, but I love how smooth this makes my hair look and feel. If you do have super tangly hair though, you especially will love this brush. It’s really gentle on your hair and works great with extensions too! 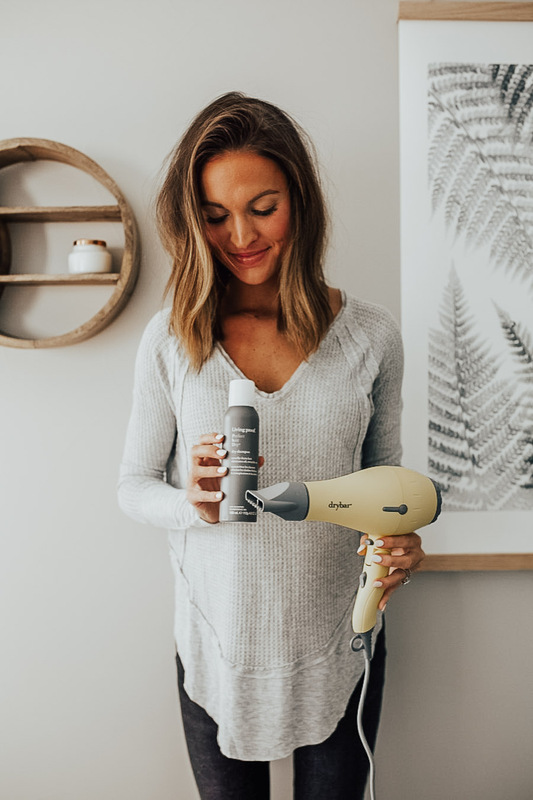 Once you’ve done the initial cold air blast, dry shampoo, shake, then brush…then you finish off with maybe a minute of blow drying…just to give your hair some volume and get rid of any last bit of sweat that might still be there. I like using this round brush at this time to give my hair extra volume and style. 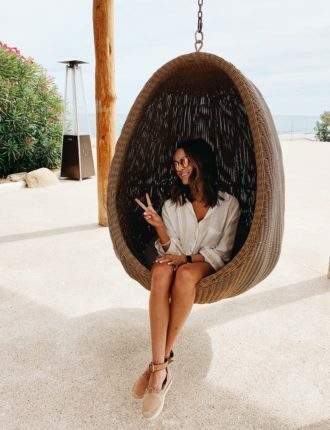 Like I mentioned at the beginning of this post…something that will help give your hair more texture and volume is by flipping it drastically over to one side! Find the middle(ish) of one of your brows and go directly up from there to find where you should part your hair for a deep side part. Then flip your hair over from there, and use the blow dryer + round brush to style it out! This is a great trick if your hair is a little oily but you don’t want to wash it. Or if it’s feeling flat and you need some volume. As you can see here…I’m a HUGE fan of Ulta’s selection of hair products! 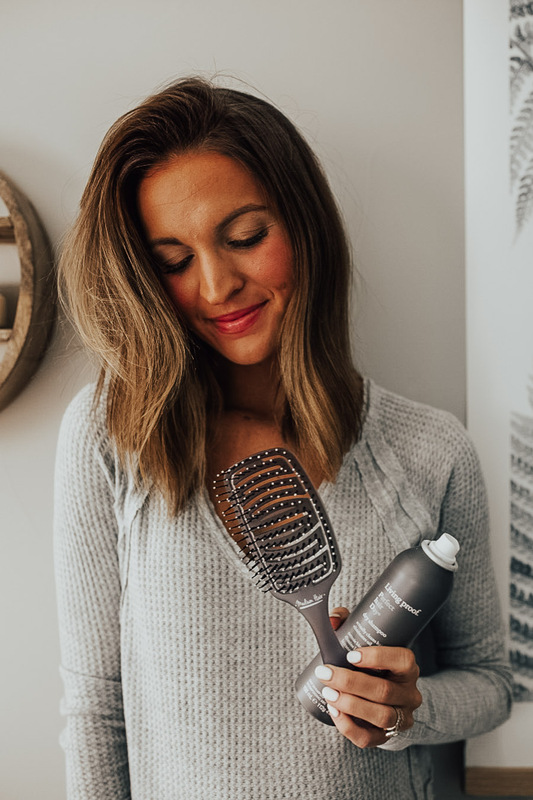 From dry shampoo to texturing spray to brushes, it really is my one stop shop for any hair products I need. You can also get the best styling tools (hair dryer, curling iron etc) at Ulta and I love that the people who work there are super knowledgeable / helpful if you have any questions about the products! Okay, so now who’s ready to sweat?! Haha but really. 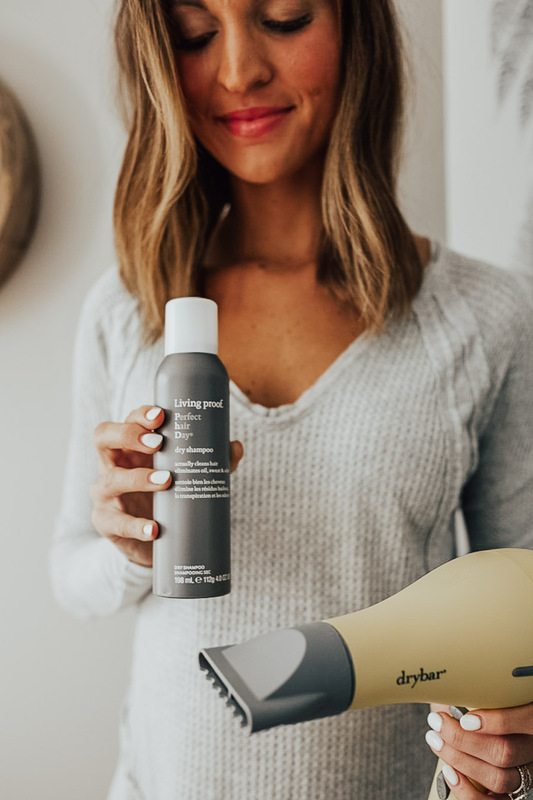 If you guys try this dry shampoo / blow dryer trick, definitely tag me on IG stories and let me know how it worked for you! It’s been working for me for years now, so I was happy to share my routine with y’all today. Thanks for reading! 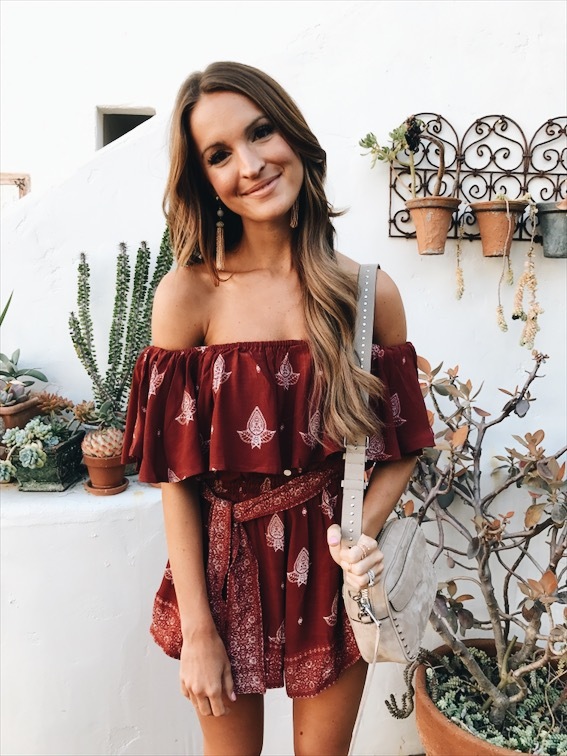 This post was created in collaboration with Ulta. As always, all thoughts and opinions are my own! 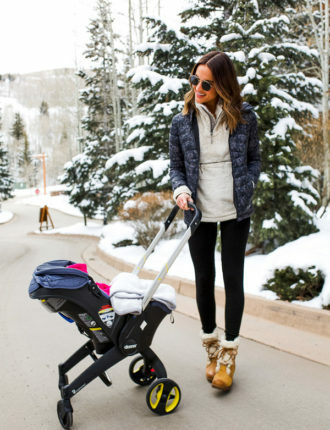 I hate it when a workout ruins a good blowout – this solution looks perfect. Thank you! Also, those weird spiral hair ties work really well at not denting your hair during a workout if you haven’t tried them yet! hi! it’s linked on my instagram!